This Melissa & Doug's Easel Accessory Set comes with paint, spill proof paint cups, paint brushes, jumbo rainbow chalk, a dry erase marker, an eraser, and a roll of easel paper just waiting to be created upon! 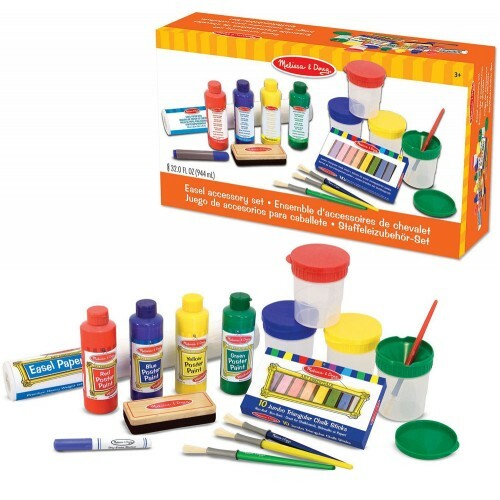 Any little artist will be inspired by the Kids Art Easel Accessory Set. 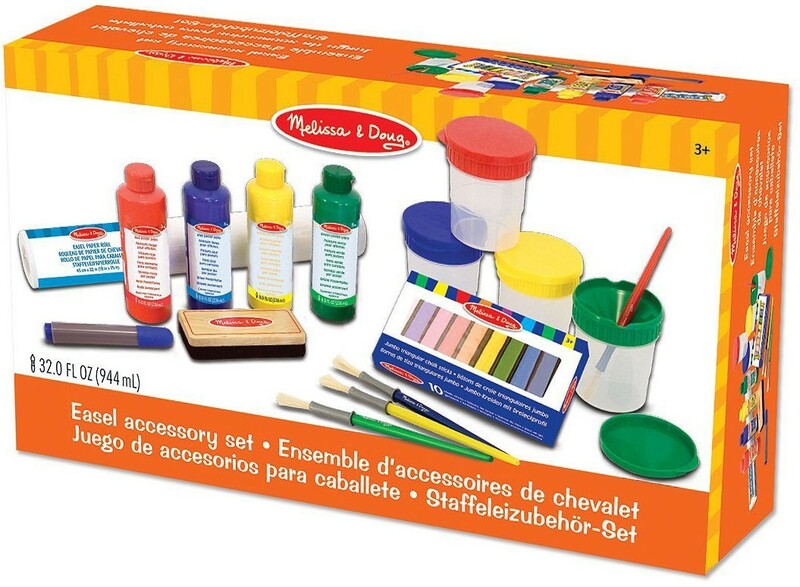 You can buy this painting set along with Melissa & Doug's Deluxe Wooden Standing Art Easel or just any other kids art easel. 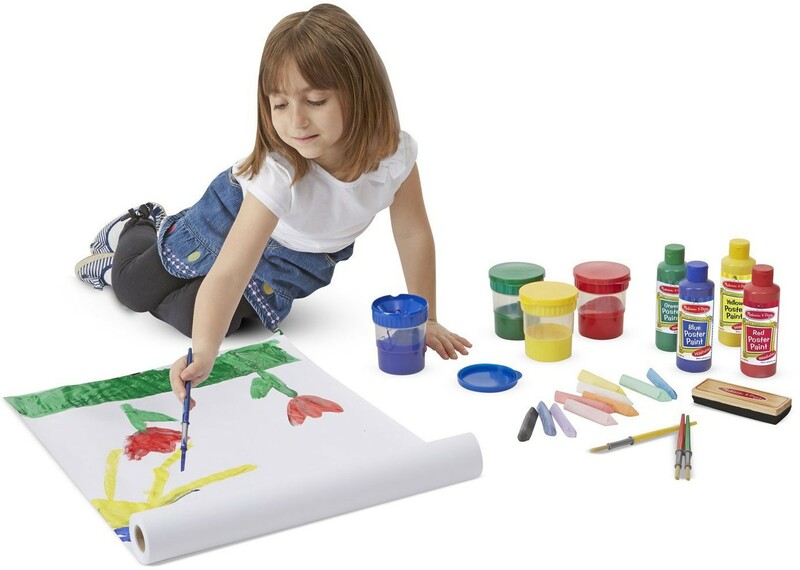 This high-quality Kids Art Easel Accessory Set comes with four vibrant 8 oz. bottles of paint, 4 spill proof cups for paint, 4 color-coordinated brushes, 10 pieces of jumbo rainbow chalk, a dry erase marker, an eraser, and a roll of easel paper just waiting to be created upon! 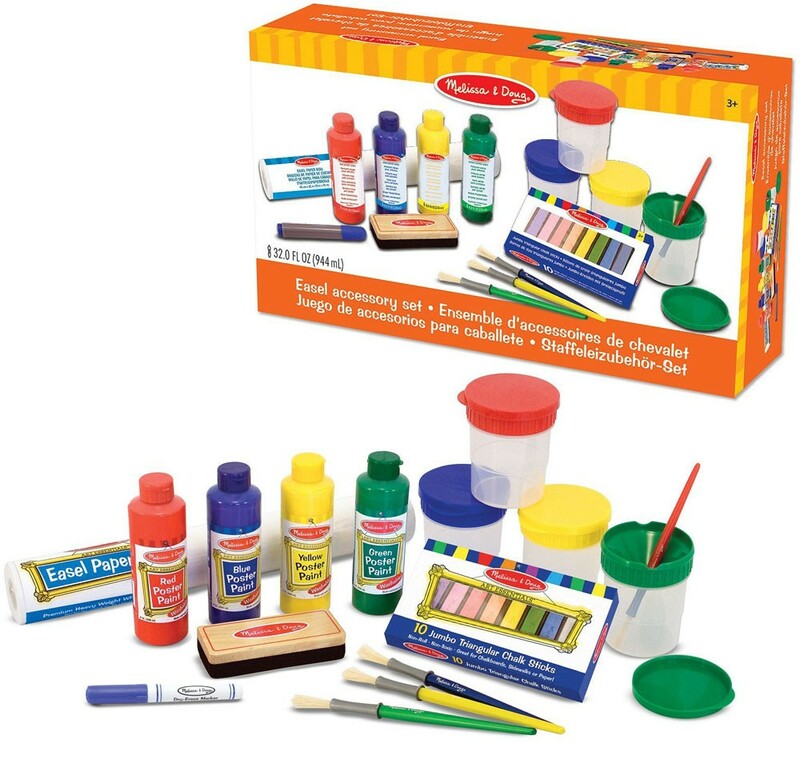 Fun is sure to be created with the Kids Art Easel Accessory Set from Educational Toys Planet! 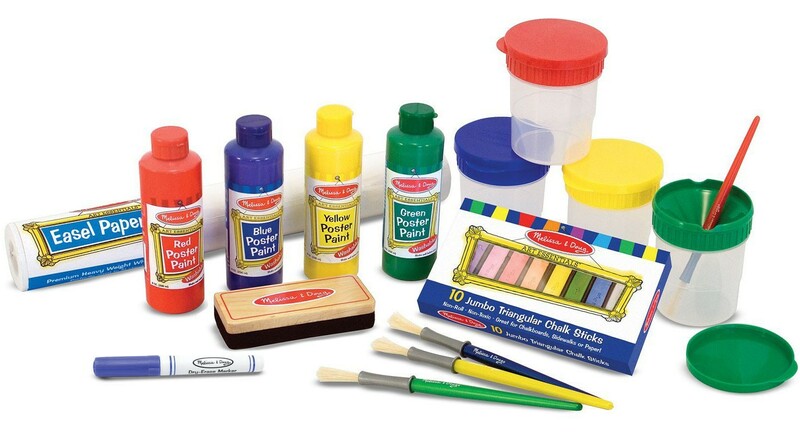 The painting accessory set conforms to ASTM D-4236. 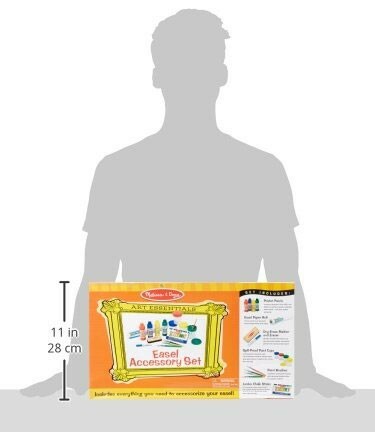 Dimensions of package 0.11" x 0.19" x 0.05"
Write your own review of Kids Art Easel Accessory Set.